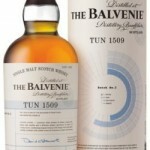 The Balvenie fans amongst you will be pleased to hear that the distillery has unveiled the Balvenie Tun 1509 Batch 2. Created once again by The Balvenie’s long serving Malt Master David Stewart. For this second batch David has hand picked a total of 32 casks, 23 traditional American oak casks and 9 European oak sherry casks all from the distillery’s precious aged stocks. All were transferred to Tun 1509, which sits in The Balvenie’s Warehouse 24, for several months before bottling. This is a rare interpretation of the marrying process and allows the different whiskies to come together to create a unique expression of The Balvenie that’s greater than the sum of its constituent parts. 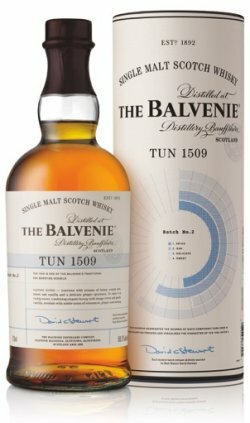 The Balvenie describe the second batch of The Balvenie Tun 1509 as luscious with aromas of honey, orange peel, sweet oak vanilla and a delicate ginger spiciness. To taste it is richly sweet, combining elegant honey with tangy citrus and gentle vanilla, overlain with subtle notes of cinnamon, ginger and nutmeg. Each bottle of Tun 1509 comes with in-depth detail on the whisky with visual representations of the flavour profile of each of the 32 constituent casks and the overall character of the resulting single malt.